We in the Sub Continent do not get to see this beautiful phenomena. 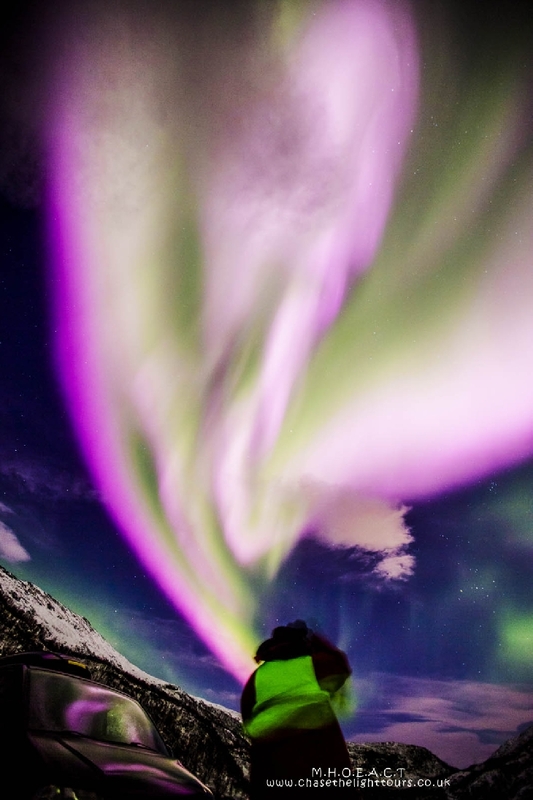 Those visiting the Arctic Countries saw a rare and unusual phenomena few days ago...Pink Auroras ! On Nov. 22nd, the face of the sun was unblemished by sunspots, and NOAA classified solar activity as "very low." Nevertheless, the skies above Tromsø, Norway, exploded with a remarkable outburst of pink auroras. 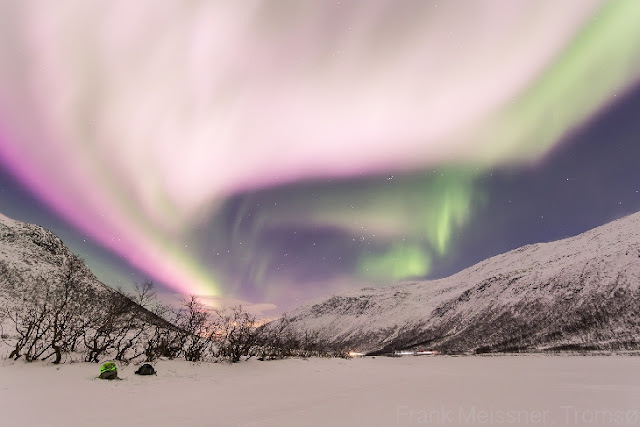 "Suddenly, the whole valley turned white (with a hint of pink)," says Frank Meissner, who witnessed and photographed the display. "It was over after about 20 seconds." How bright was it? "The brightness of the auroras may be compared to the car lights in the background of my photo," points out Meissner. This outburst was powered by a stream of solar wind flowing from a hole in the sun's atmosphere. Such holes are common during Solar Minimum, and they require no sunspots to form. This article will be posted in Author's Page of this blog also. July 20-25 2017 low pressures developed over both AS and Bay - due to which GUJ/RAJ specially GUJ witnessed enormous rains (continuous 3 digit rains (300mm!) for multiple successive days - RAJ also later witnessed this phenomenon but now AS and Bay during NEM is also about to see some week low but hardly any rain for TN / SAP ??? Hot today in Mumbai. Hopefully this system dissipates to the earliest to bring back the winter chill which was there till yesterday.